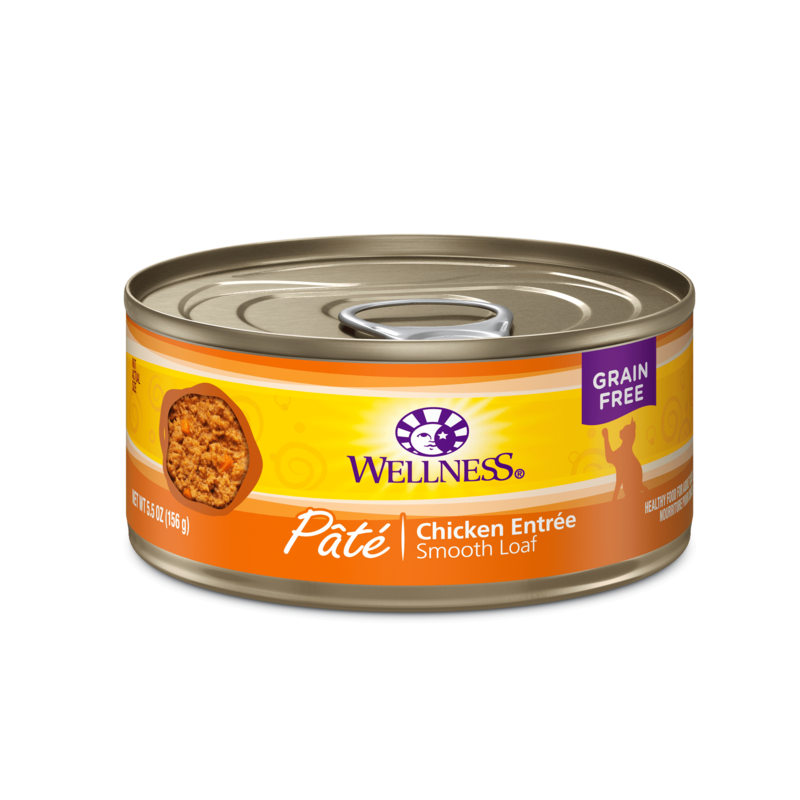 Chicken, Chicken Broth, Water, Chicken Liver, Egg Whites, Potato Starch, Carrots, Pea Fiber, Sweet Potatoes, Squash, Zucchini, Guar Gum, Sodium Phosphate, Natural Flavor, Cranberries, Blueberries, Tricalcium Phosphate, Flaxseed, Potassium Chloride, Sodium Carbonate, Taurine, DL-Methionine, Iron Proteinate, Beta-Carotene, Zinc Proteinate, Vitamin E Supplement, Choline Chloride, Cobalt Proteinate, Thiamine Mononitrate, Copper Proteinate, Folic Acid, Manganese Proteinate, Niacin, d-Calcium Pantothenate, Sodium Selenite, Vitamin D-3 Supplement, Pyridoxine Hydrochloride, Riboflavin Supplement, Vitamin A Supplement, Vitamin B-12 Supplement, Potassium Iodide, Biotin. 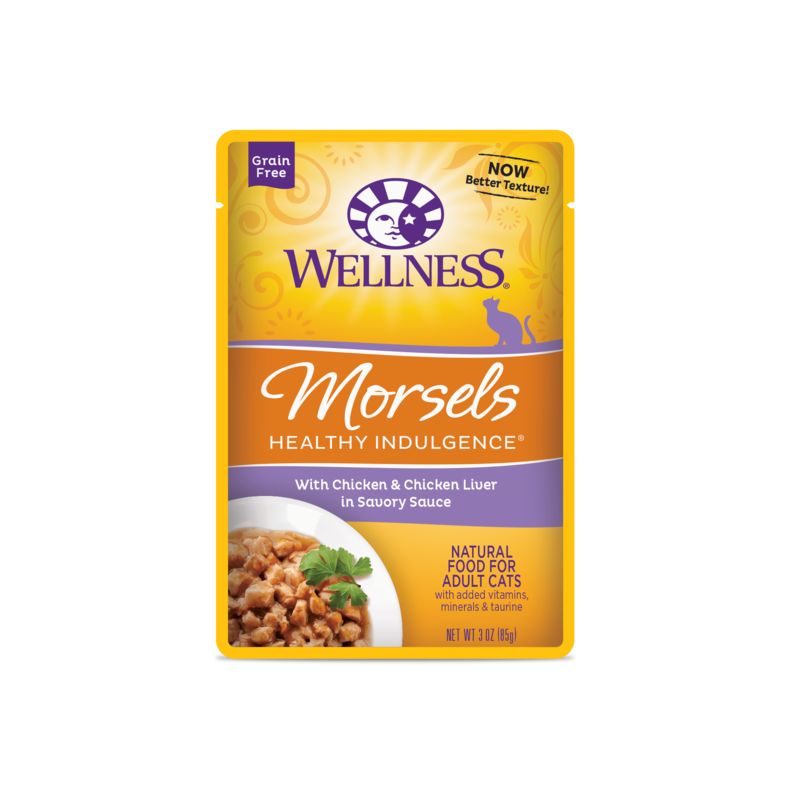 This food contains 923 kcal/kg or 79 kcal/pouch ME (metabolizable energy) on an as fed basis (calculated). 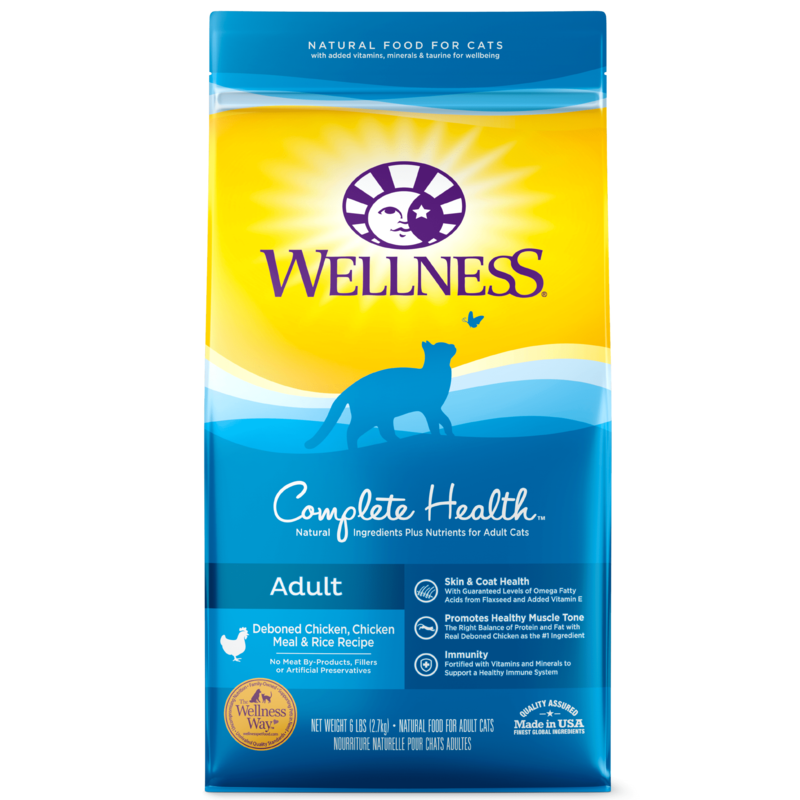 Wellness® Healthy Indulgence® Chicken & Chicken Liver Recipe Cat Food is formulated to meet the nutritional levels established by the AAFCO Cat Food Nutrient Profiles for maintenance.